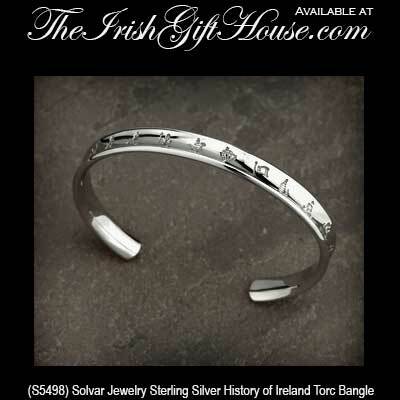 Sterling silver History of Ireland bracelet is a torc style bangle. This sterling silver History of Ireland bangle measures 1/4" tall and will fit most women's wrists. 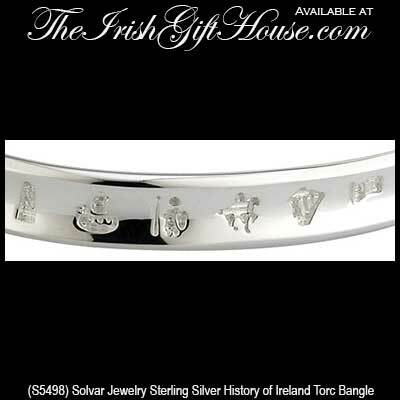 The History of Ireland bracelet is a torc style bangle and it is gift boxed with the legend booklet that explains the symbolism. History of Ireland bracelet is crafted in sterling silver and it is a flat bangle design. 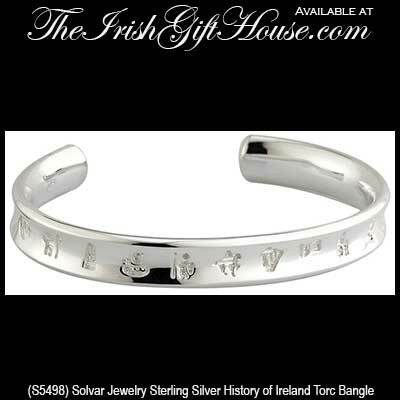 Sterling silver History of Ireland bracelet features the icons on 6 links.